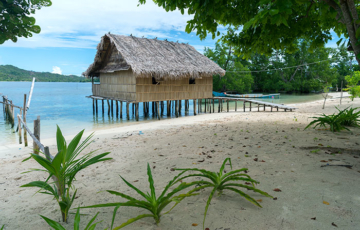 Over-water bungalows with sunset views at front, a bird filled jungle behind and easy access to the uninhabited islands and coral gardens of West Waigeo. 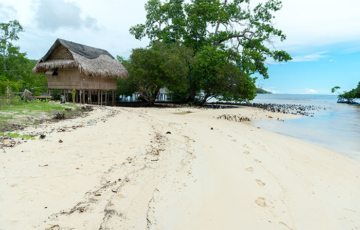 A large over-water bungalow, set amid remote splendour: A mangrove forest full of birds, Manyaifun Bay’s coral and abundant fish, and fabulous sunset views. One of the closest homestays to Wayag. 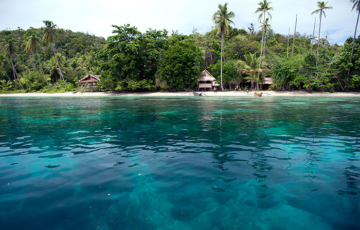 A great house reef, with noctilucent plankton sparkling beneath the bungalows most nights, and a fine sandy beach.